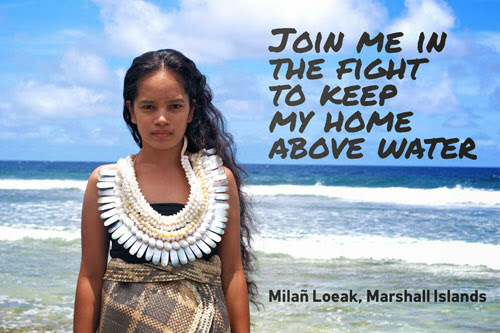 My name is Milañ Loeak, I’m from the Marshall Islands, and I bring you a message on behalf of my Climate Warrior brothers and sisters from across Oceania. You’ve probably heard it all before — that the climate is changing, that the ocean is rising, that my home in the islands will be the first to go. But the people of the Pacific are not drowning, we are fighting. And the biggest threat to our homes is the fossil fuel industry. So here’s how we’re fighting back: there’s a coal port in Newcastle, Australia and it’s the largest in the world, shipping approximately 617,000 tons of coal every single day. 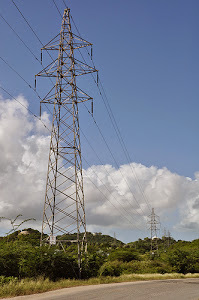 If the port were a country, it would be the 9th highest emitting country in the world. That’s why I have travelled to Australia to shut it down for a day. Using traditional canoes, I and 30 other Pacific Climate Warriors are going to paddle into the oncoming path of coal ships. Behind us will be hundreds of Australians in kayaks, on surfboards and whatever else they can find, united with us as we stand up to the fossil fuel industry. But we need more than hundreds of Australians standing with us — we are going to need you too. The fossil fuel industry will try to dismiss us. They will launch their PR machine to say that we are just a small group acting alone and that we do not speak for others. But we know that we are not acting alone. We are standing with front line communities around the world when we say it is time to end our addiction to fossil fuels before it destroys our homes, our communities, and our culture. As the Pacific Climate Warriors paddle into the water on October 17th, show that you stand with us — click here to sign on to our call for solidarity. Stopping one day of coal exports alone won’t keep our homes above water, but it marks the rise of the Pacific Climate Warriors, and the beginning of our defense of the Pacific Islands. I ask you to join us in this fight — because we cannot save the Pacific Islands on our own. Climate Change Brings Opportunities for Caribbean Entrepreneurs from IPS News on Vimeo.